Richard Mulcahy was architect of the guerrilla war that forced the British to grant Dominion status to Ireland and the guiding spirit behind the civil war that ensured the survival of the new state. In this illuminating portrait, Maryann Valiulis uses Mulcahy’s career as a focus for reexamining Ireland’s transition from colony to nation state between 1916 and 1924. She also views the Irish struggle from Mulcahy’s varied perspectives – chief of staff in the Anglo-Irish war and minister for defence and commander-in-chief during the civil war. Contrary to traditional interpretation, she argues, Mulcahy and General Headquarters Staff played a crucial role in setting ethical boundaries for the guerrilla war, in ensuring that the war of independence did not degenerate into wanton violence, sectarian conflict, or personal vengeance. In the civil war, Mulcahy was less successful. In fact, in an attempt to enforce standards and control the actions of the army, he was led into his most controversial policy – execution of prisoners. Valiulis contends that within an atmosphere of terror and counter-terror, Mulcahy and GHQ kept the threads of the revolutionary struggle woven together. Under Mulcahy’s direction, GHQ became a focal point for a guerrilla war that the IRA may not have been able to win but, thanks to Mulcahy and GHQ, did not lose. 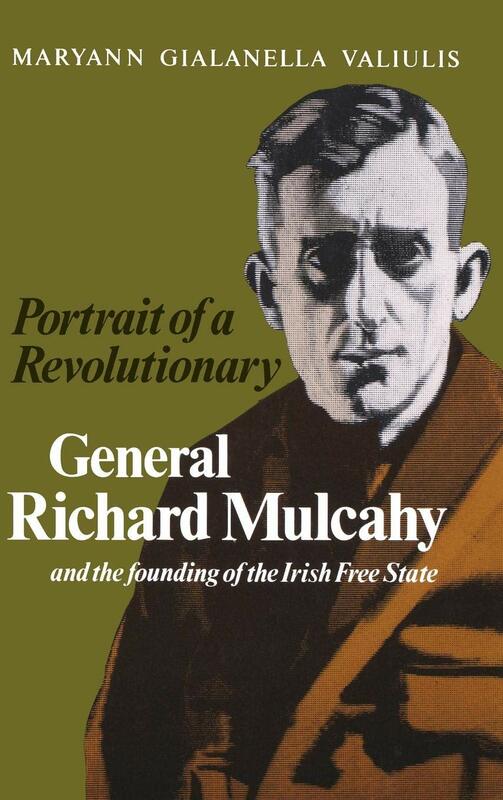 Mulcahy’s life reveals much about the diversity of Irish nationalism, the nature of the revolutionary struggle, and the influence of colonialism. He epitomized the political and cultural nationalist whose vision of a free and independent Ireland was a synthesis of traditions: Gaelic and English, constitutional and revolutionary, modern and traditional. Fromsuch blendings did Ireland forge an enduring democratic nation state. Portrait of a Revolutionary is an essential contribution to our understanding of modern Irish history.